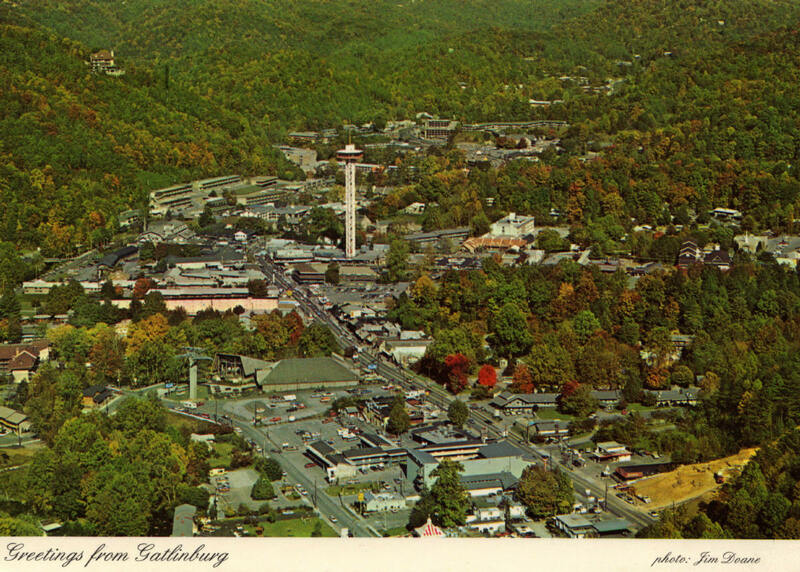 Old overview shot of Gatlinburg on the left. Thanks to Vicky Hankins for providing this picture. 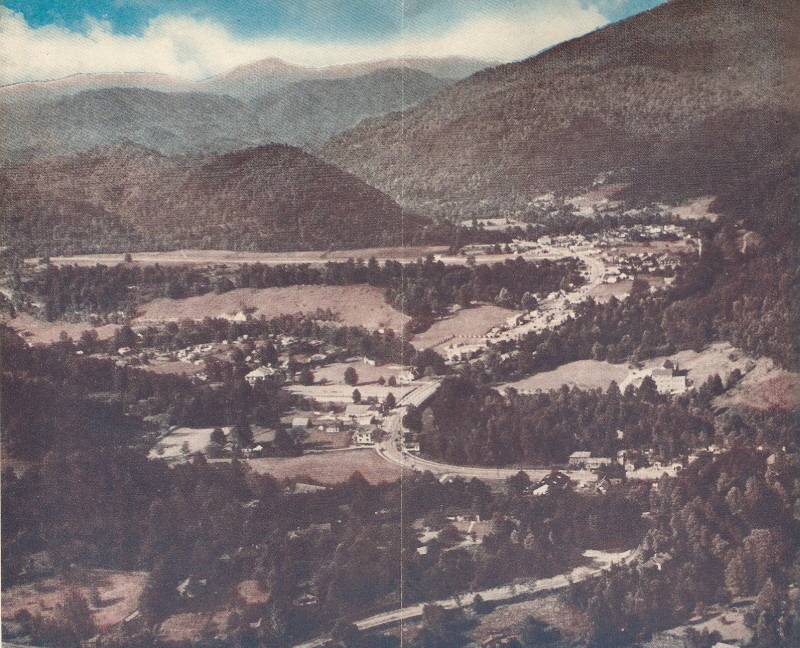 On the right an overview photo from a postcard postmarked 1982. This is an interesting photo that shows some good detail. 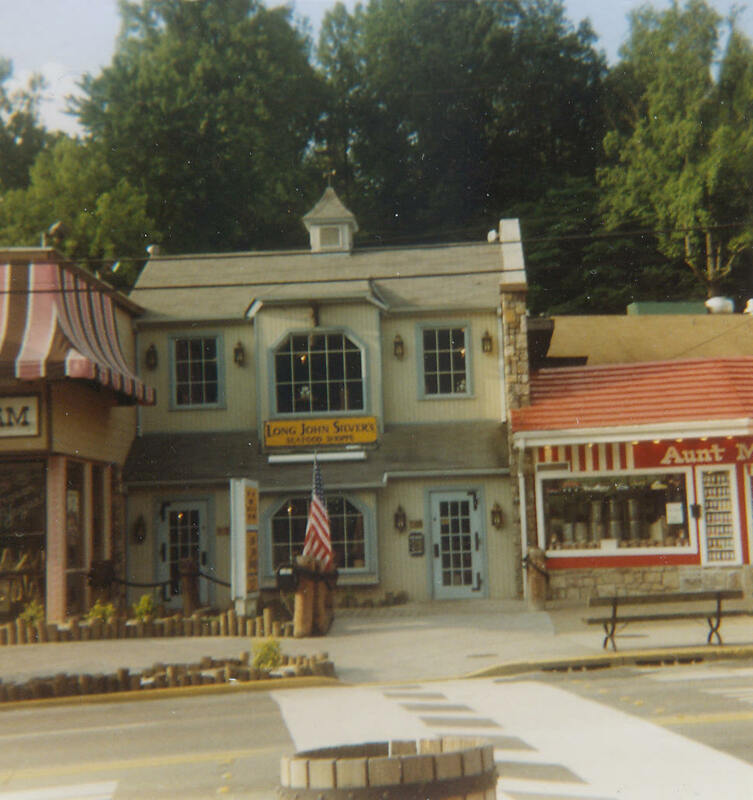 What stands out to me the most is the fact that the Rebel's Corner building seems to end with Rebel Corner, it seems to be on the corner, no Seven Gables Haunted House or something else in that spot. What also sticks out to me is the old motor lodges on the right side of the street near the National Park. 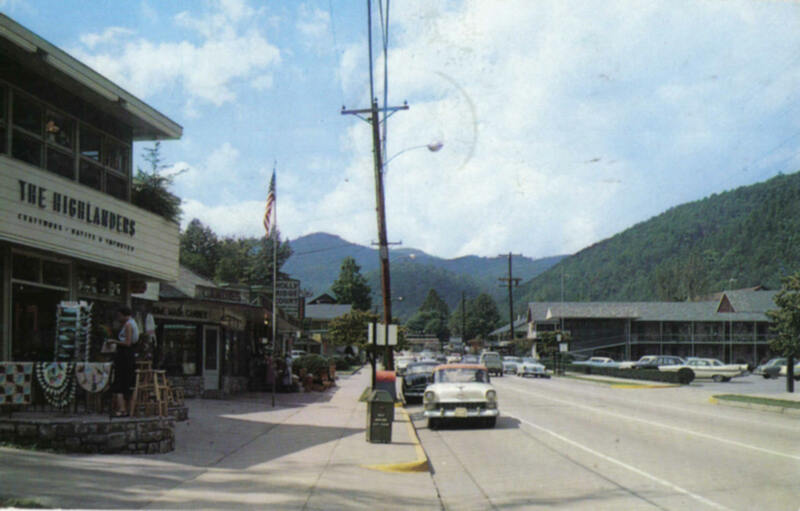 I don't see any sign of Elk's Plaza or Calhouns Village (Mill Creek Village as it was before Calhoun's Village). 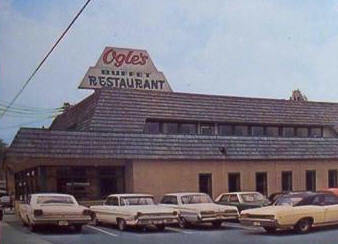 Ogle's Buffet, this picture dates back to the 1960's. 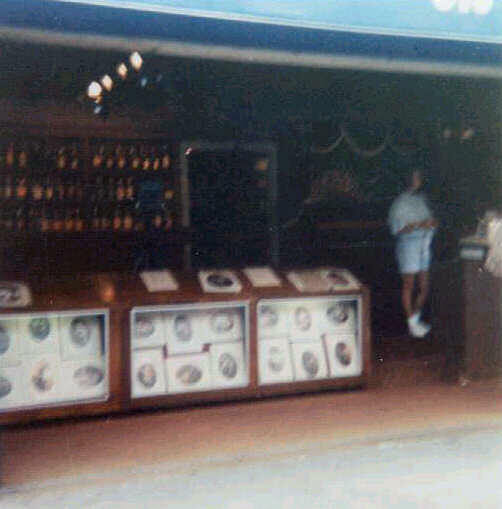 In the mid 90's it became the Hard Rock Cafe (see picture on right). The Hard Rock Cafe moved to Pigeon Forge around 2014/2015. 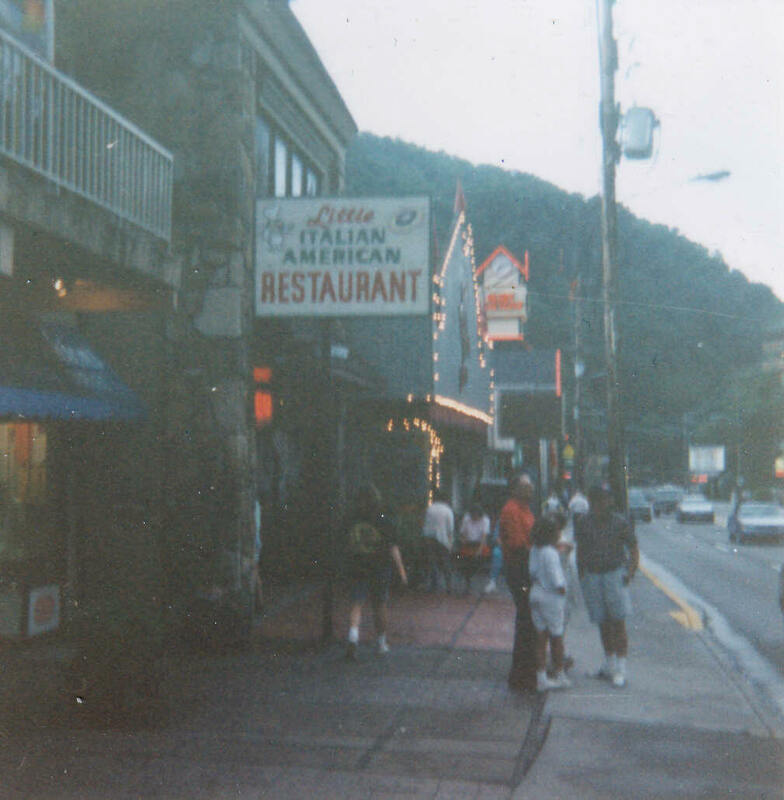 The 1968 Gatlinburg Directory Guide says this about Ogle's Buffet Restaurant: The newest idea in dining in Gatlinburg's newest restaurant. Buffet service in a delightful, relaxed atmosphere. Our meals are unsurpassed for quality and quantity. Go back for seconds of our delicious foods. Free parking in our spacious parking lot. Five hot meats, Five hot vegetables. Twenty-five salad varieties (fresh and crisp on crushed ice). Dining Patio over the Stream. Credit cards honored. 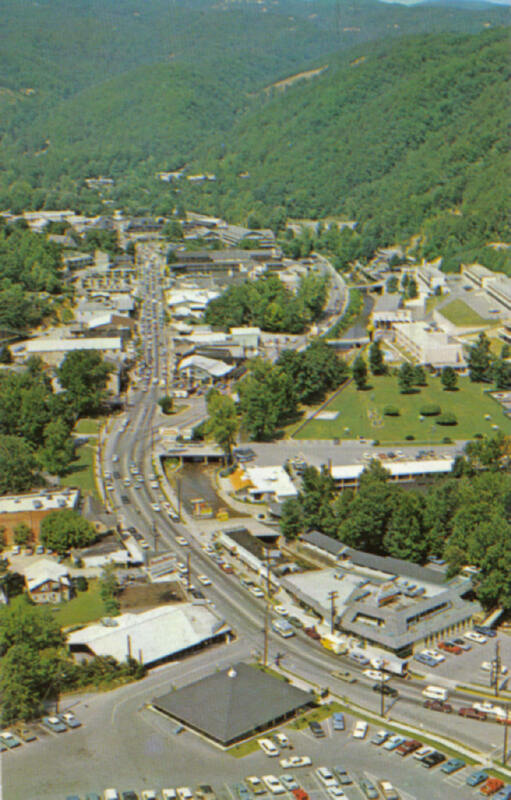 Overview of Gatlinburg Circa 1970, shows Ogle's Buffet. 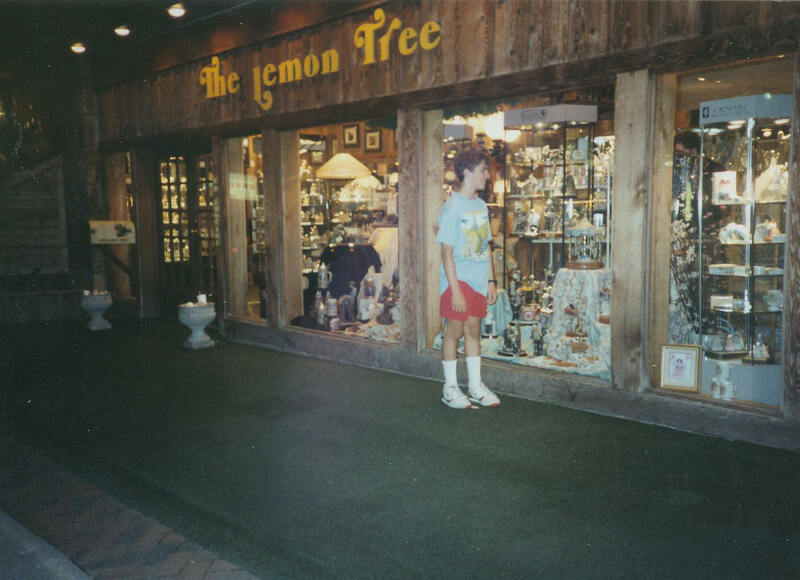 Also see Howard Johnson's in the background. Notice that the Space Needle hasn't been built yet. Thanks to Bob Howard for supplying this picture. An Old Time Photo Studio where Earthquake is now located. 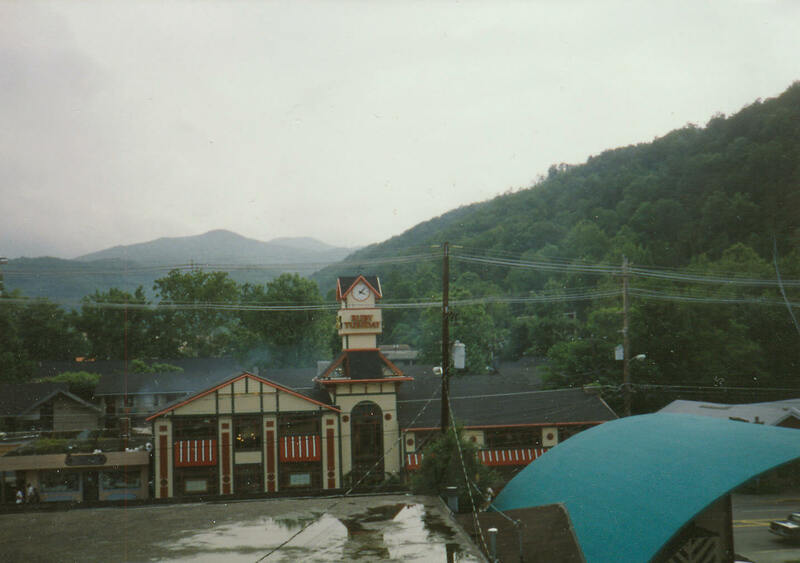 There use to be a Ruby Tuesday's in Gatlinburg just before you get to East Parkway across the street from The Best Western Hotel Crossroads which has access to both roads Parkway and East Parkway where the picture on the left was taken from. A Cuban Restaurant called "Havana Dreams" moved into this building (see photo below) It opened sometime around late 2007, I believe, but is now also out of buisiness. 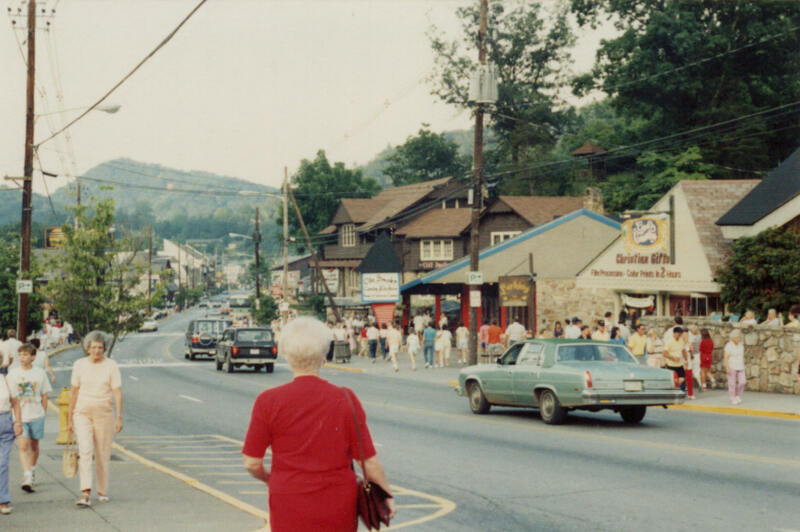 Also seen in the photo on the right is The Sweet Fanny Adams theatre and The Little Italian American Restaurant which is also now gone. On the left is a picture of the dinning area of The Hard Rock Cafe that overlooked the creek, taken from Riverbend Mall next to it. On the right is a picture of the door to the Hard Rock Cafe with some posters on it.